Fashion is all about the aesthetic — so a museum is the perfect place to pay homage to different fashion eras and designers. London is home to many museums with exhibitions covering all areas of fashion, from historic designs and contemporary trends to the future of the industry. 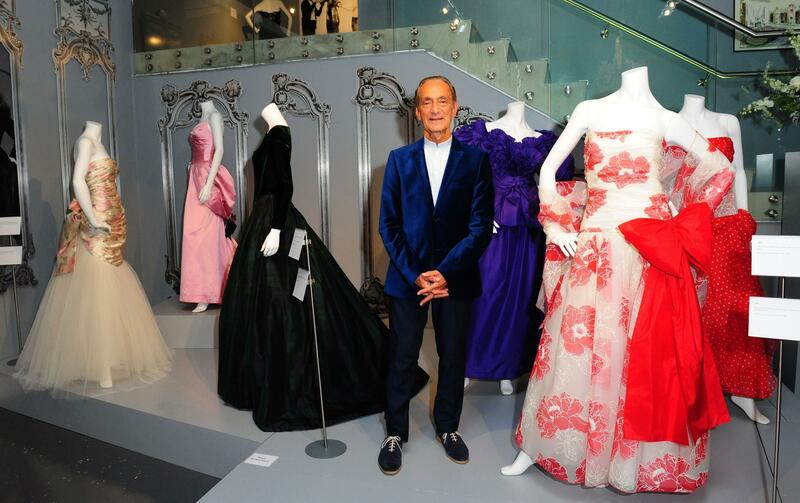 The V&A’s 2019 Christian Dior: Designer of Dreams exhibition is set to send the capital into a fashion frenzy, so now more than ever is the time to see what other venues have to offer. 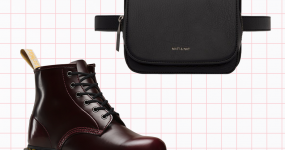 These are the ones to look out for if you know your Louboutin from your Lagerfeld. This Bermondsey site is best known for exploring periods of fashion and their cultural connotations. The contemporary fashion museum was founded by British designer Zandra Rhodes back in 2003. This year it has a number of delights to tickle the fancy of fashion lovers. A four-month exhibition focusing on mini skirt revolutionary Mary Quant and designer Terence Conran will run from February until June, delving into the fashion, design and art of the Swinging Sixties. The show will present clothes, textiles, furniture, lighting, homewares, ceramics — exploring both style and the socioeconomic importance of this period. Huge names in the fashion world have graced the interior of the V&A, including Vivienne Westwood and Vera Wang, who both featured in the 2014 Weddings exhibition as well as gowns from Balenciaga, Balmain and Givenchy in the 2007 The Golden Age of Couture show. This year, a much anticipated exhibition celebrating the life and work of the fashion designer Christian Dior will open in February, running until July. 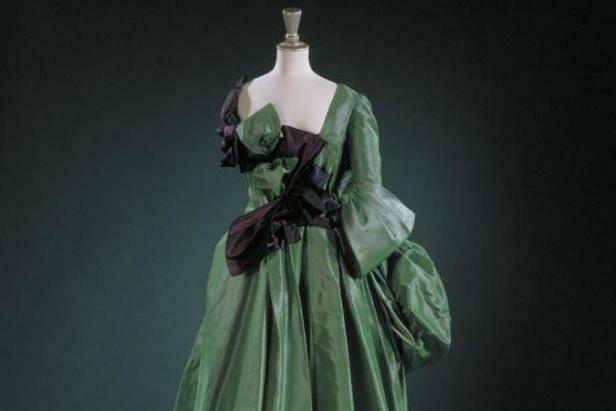 Christian Dior: Designer of Dreams is set to be the largest retrospective on the French designer ever shown in the UK, showcasing a number of exquisite garmets alongside photographs, accessories and personal items. This iconic London landmark is home to the British Fashion Council and regularly hosts fashion exhibitions in its 16th century neoclassical building. In February the popular venue, which hosts London Fashion Week events, will host an International Fashion Showcase presenting work from the best up-and-coming fashion talent from around the world. Likewise a fashion photography exhibition will run for slightly longer, until April, exhibiting the work of Hanna Moon and Joyce NG — two industry names to watch out for. The clue is in the name here — expect lots and lots of beautiful fabric and garments in this collection. 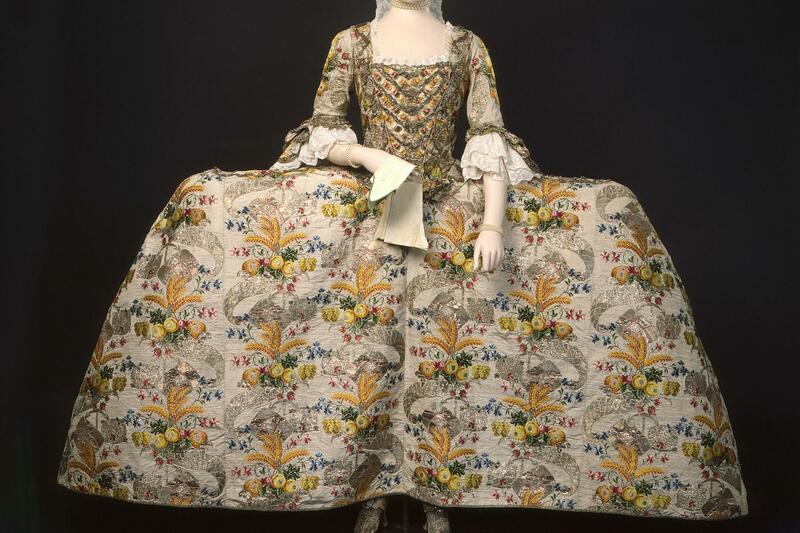 The impressive offering boasts materials made, sold, bought and worn in London from the 16th century to the present. 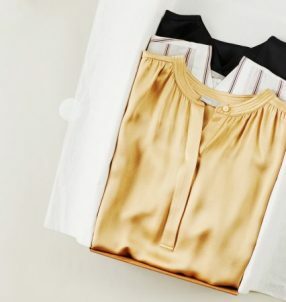 There’s an eclectic mix with pieces made both at home and in studios of London couturiers, covering all occasions too, from gowns worn at extravagant occasions to pieces worn every day. 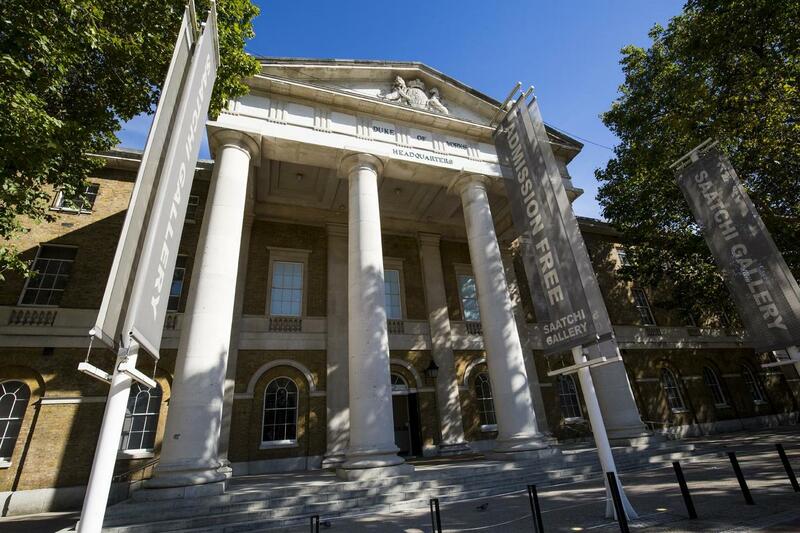 Open seven days a week with free admissions to all exhibitions, it’s hard to resist the Saatchi Gallery. 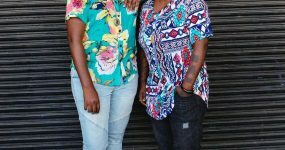 The site focuses on presenting work from unseen young artists, or international artists who are largely unknown, rather than household names. Previous popular shows include Chanel’s Haute Couture show, titled Mademoiselle Privé, alongside with a selection of London Fashion Week events. 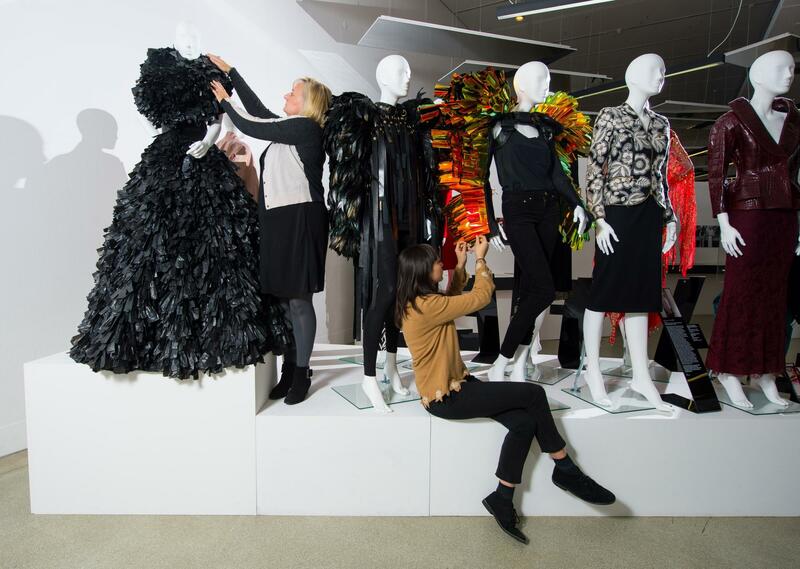 This London College of Fashion exhibition space continues to lay on an experimental programme of shows and events. Catering for both established artists and up-and-coming creative talents, the contemporary venue holds regular fashion, design, and art exhibitions alongside tours and talks. It runs a residency programme, supporting designers working in fashion and related fields. This year the gallery is hosting a Mundo Latinx exhibition, bringing together works from visual artists who raise questions around representation and identity. This Kensington haunt specialises in contemporary design, covering all forms, from fashion and product to graphics and architecture. The venue continues to deliver a vibrant programme of exhibitions. Previous shows include one focusing on “couture’s rebellious outsider” Azzedine Alaïa and the Women Fashion Power exhibition. 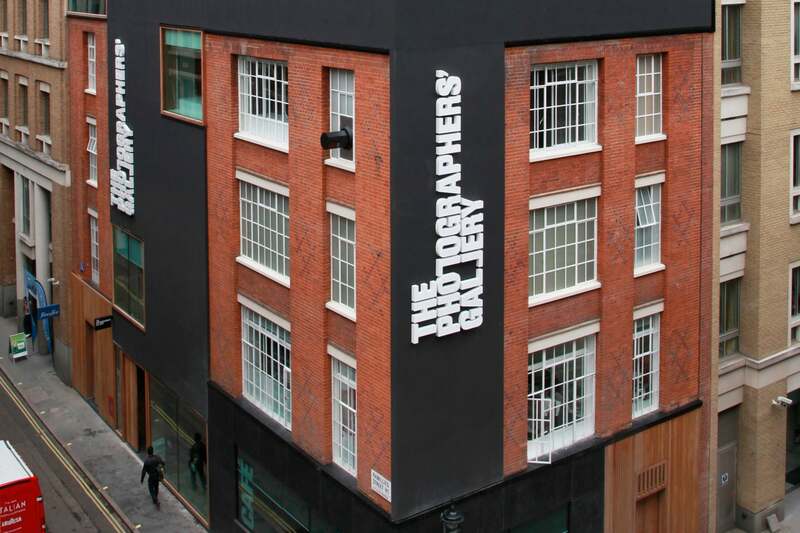 If fashion photography is more up your alley, this space in Soho hosts regular exhibitions alongside educational activities to promote the snap happy pastime and its impact on culture and society. Previous style exhibitions have covered the portraiture and fashion photography of Edward Steichen, when he was working powerhouse fasion titles at Condé Nast.